The U.S. Sand Nationals Warmup at West Michigan Sand Dragway featured some great racing action. The night's big winners were Josh Stephens and Ryan Poortenga. Stephens took home the win in the Fastest 4WD Shootout over Gary Vereeke in a 3.18-3.31 final round race. Ryan won the $1000 to win Pro Truck Shootout as well as the Pro Comp class victory. John Rammacher was the Top Fuel champion over Jay Poortega while Troy Turnock ran a 3.03 to defeat Rob Lemon in the Top Eliminator final round. Video added 7/24. 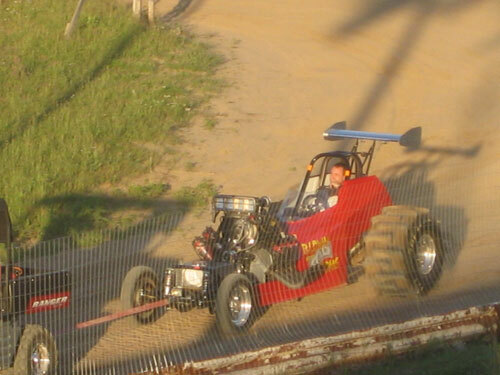 Friday Test and Tune is over for the night at West Michigan Sand Dragway. Two of the competitors in the Fastest 4WD in the World Shootout made test passes. Tony McWethy's "Unique" Funny Jeep made a wild pass pulling the front end from half track on to a 3.28. Next up was Josh Stephens from Missouri in the "Blown All My Income" Altered. Stephens shut off early, but still ran a 3.01/96MPH pass. The pass eclipsed all current 4WD sand drag racing records. It'll be interesting to see what the car can do on Saturday. Nick Vanderputte brought out the "Curtis Tree Service" TE Dragster and ran a 3.07 with some flames shooting out towards the finish line. 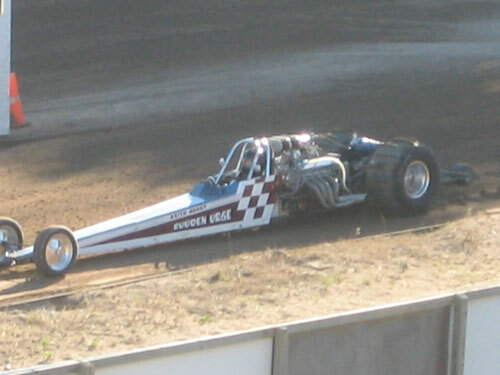 Keith Ahart brought his "Sudden Urge" dragster out from Arizona and ran a best of 3.46 on the night. Paul Becker brought his Jeep up from Georgia and made some passes in the 4.0 range. Many other WMSD regulars did some testing and it looks like tomorrow will feature some close racing. Stay tuned to WMSD for updates throughout the weekend on this event.